Want to share some Beauty with someone you love? Send them Butterfly Whispers! I absolutely love this Teresa. 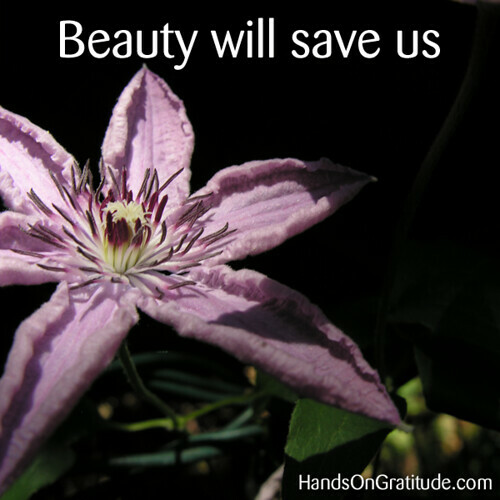 In seeking beauty we learn to trust that the Universe has our backs… what a fabulous reminder. Thank you Thank you!!! This post makes me feel all good inside! AND it makes me think that noticing beauty is a very similar to looking for the things you appreciate. Beauty and appreciation are both similar energies….. and are a perfect reflection of what you resonate with. What a wonderful practice ! Love this Teresa and the photo of the flower (I think it’s a clematis). I’ve been trying to coax the clematis I planted several years ago to bloom. Last summer it had a couple of blooms. I’ll be watching to see what happens this year. I’ve never heard it said this way and was so moved by the simplicity and…beauty. I was raised by two designers and although my eye for beauty is considerably simpler than either of my parents’ it is a kind of spiritual piece for me.. and so this truly spoke to my heart.. Thank you, Teresa…you said it in a way that I couldn’t articulate. 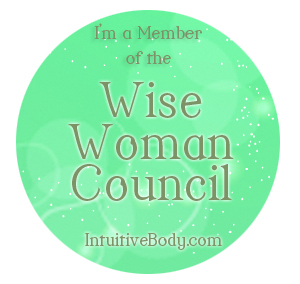 I’m in the middle of taking some big risks in my business and life and your message is full of meaning for me today. Thank you. If it’s not alright, and it’s not the end, you’ve got to find the beauty in where you are. Love it.